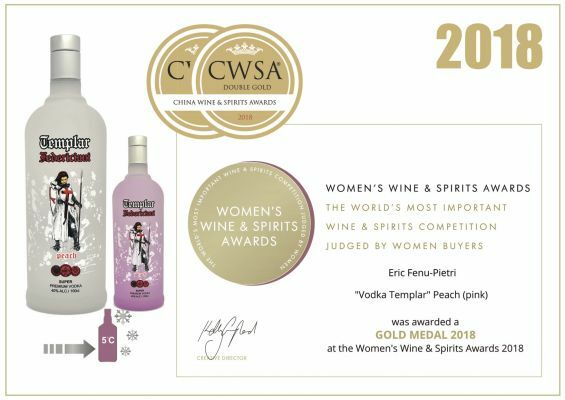 The Vodka Templar was born 14 months ago and has already won: • the 2017 gold medal in London • 2017 CWSA Hong Kong Gold Medal, • The 2018 CWSA Hong Kong Double Gold Medal, • The London CWSA Women 2018 Gold Medal, -The Vodka Templar is made in one of the best vodka distillery in the world, it is 6 times distilled. 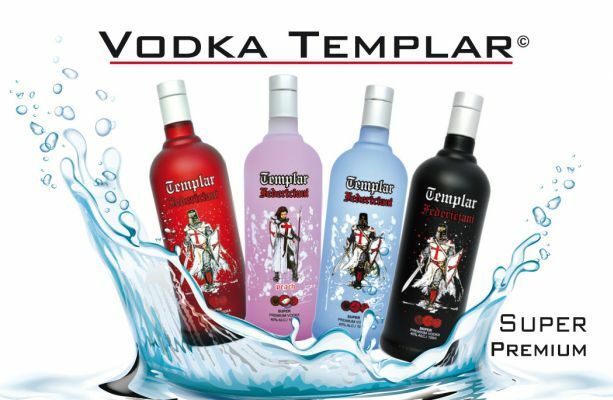 We have 4 different vodkas: • The white bottle turns blue in the ice with a thermochromic coating. 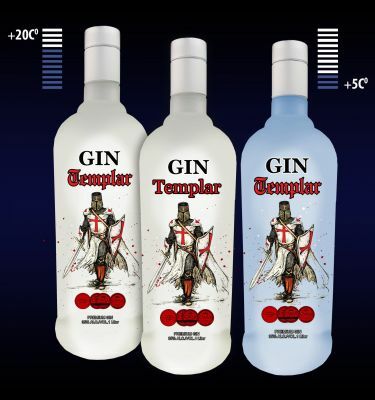 In the mouth, this alcohol, yet very strong, is sweet and pleasant, and appreciated by people who do not like strong alcohol. 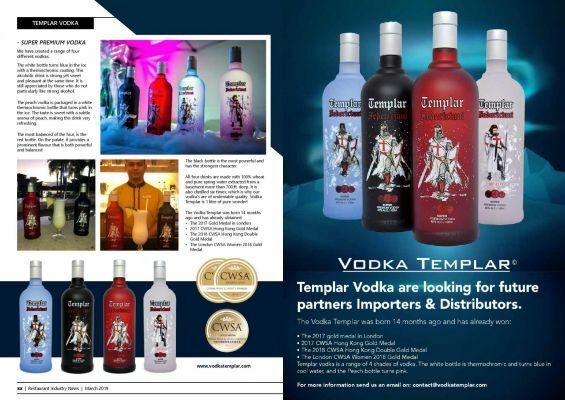 • The peach vodka is packaged in a white thermo chromic bottle that turns pink in the ice. In the mouth, we get the same sweetness with a subtle aroma of peach, very refreshing. 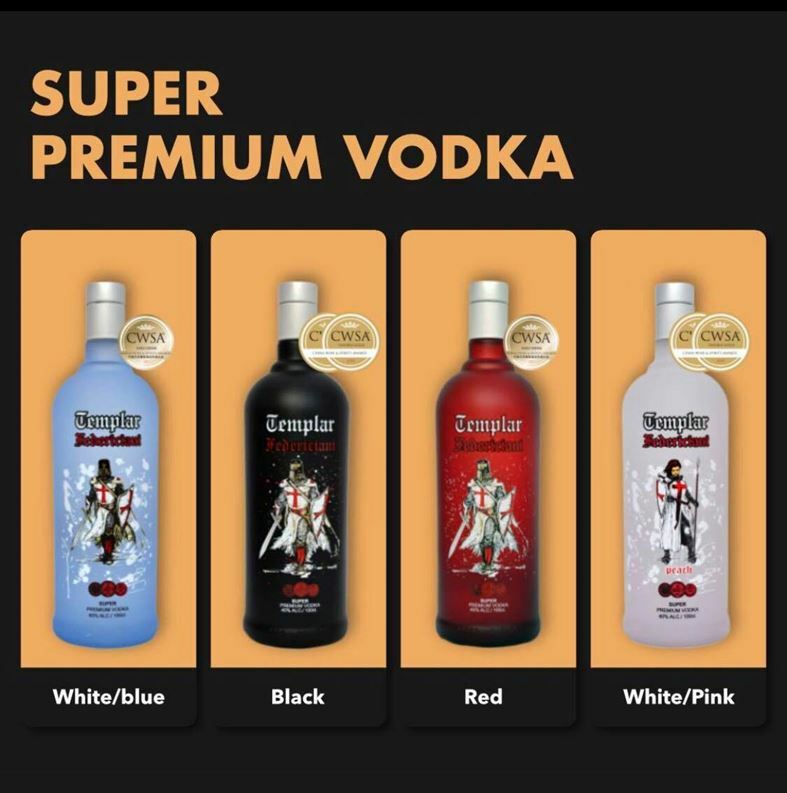 • The most balanced of the 4, remains the red bottle, single color. 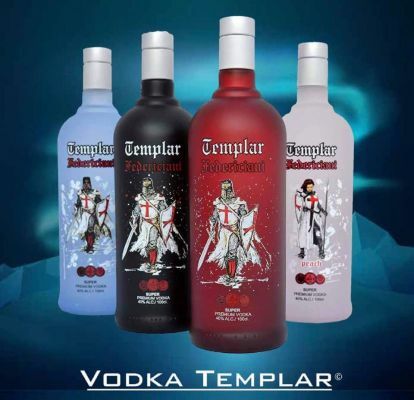 On the palate, its character is more pronounced and brings balance and power. 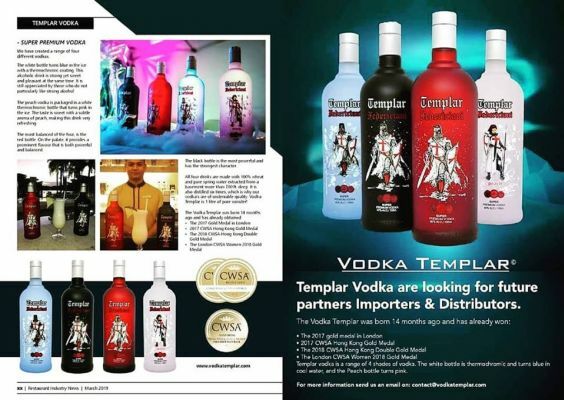 • The black bottle remains the most powerful vodka in the mouth with a strong character. 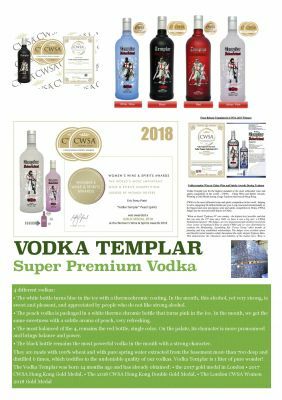 They are made with 100% wheat and with pure spring water extracted from the basement more than 700 deep and distilled 6 times, which testifies to the undeniable quality of their vodkas. 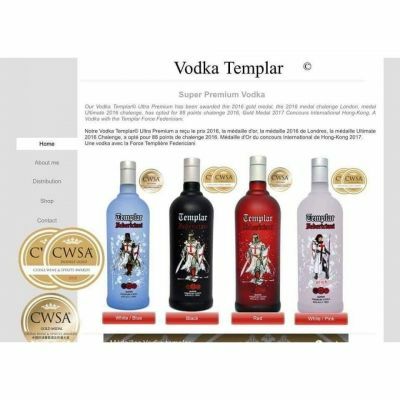 Our Vodka Templar© Ultra Premium has been awarded the 2016 gold medal, the 2016 medal chalenge London, medal Ultimate 2016 chalenge, has opted for 88 points chalenge 2016, Gold Medal 2017 Concours International Hong-Kong. A Vodka with the Templar Force Federiciani. 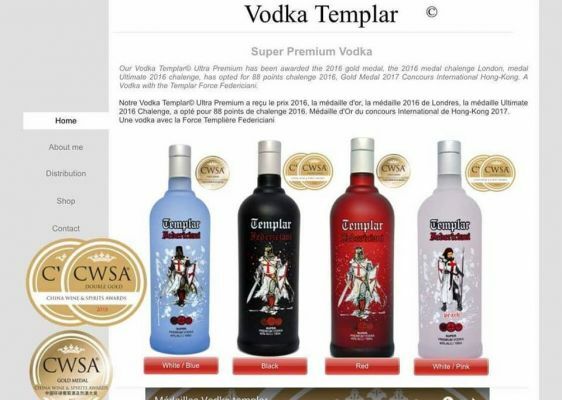 Notre Vodka Templar© Ultra Premium a reçu le prix 2016, la médaille d'or, la médaille 2016 de Londres, la médaille Ultimate 2016 Chalenge, a opté pour 88 points de chalenge 2016. 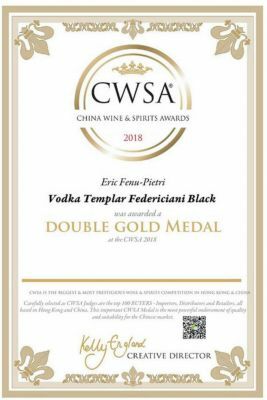 Médaille d'Or du concours International de Hong-Kong 2017. 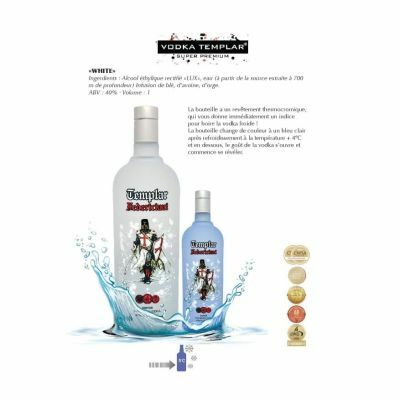 Une vodka avec la Force Templière Federiciani SUPER PREMIUM VODKA 40% ALC / Flight 1 litre Water quality is controlled from 700 m depth The taste of water greatly influences the taste of Vodka. 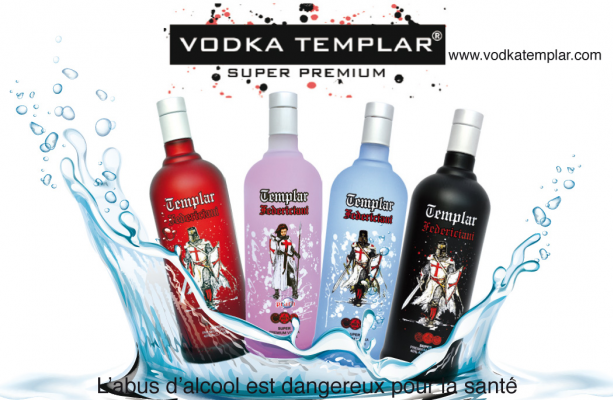 Water influences all aspects alcoholic beverage: Smell, taste and clarity. Even the purest water, if contained in its natural environment, must be treated. The treatment process is as follows. Water flows through sand and carbon columns, cartridge and membrane filters and undergoes ultraviolet and molecular purification. Reverse osmosis helps regulate the saline composition of the water. 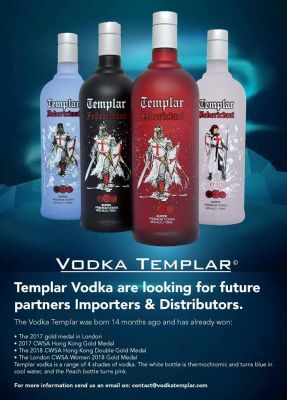 This makes each type of vodka unique. Global control in the distillery laboratory is the last step in water treatment. The water is now ready to be mixed with alcohol (sorting). Water is fed to pressurized tanks on the 4th floor of the mixing plant. The treated water is soft, clear and alive (unlike the distilled water used by other manufacturers).